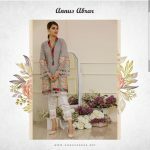 How beautifully this whole collection of Eid collection dresses 2018 by Annus Abrar has been put together for the ladies! 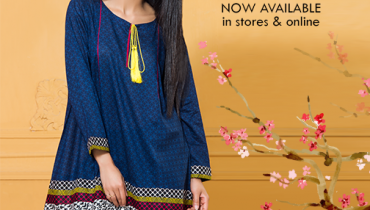 Check it out and you would surely be falling in love with each and every single dress design of this collection line! Talking about Annus Abrar, she is one of the rising and one of the talented upcoming designers in the fashion field of Pakistan. She is turning out to be greater in demand in terms of offering the clothing collections for the women only that do ranges in the categories of the formal wear as well as casual sort of clothing products. The best features about her so far launched collections is that she do bring elegance and grace into her collections, that is so far her most successful factor. 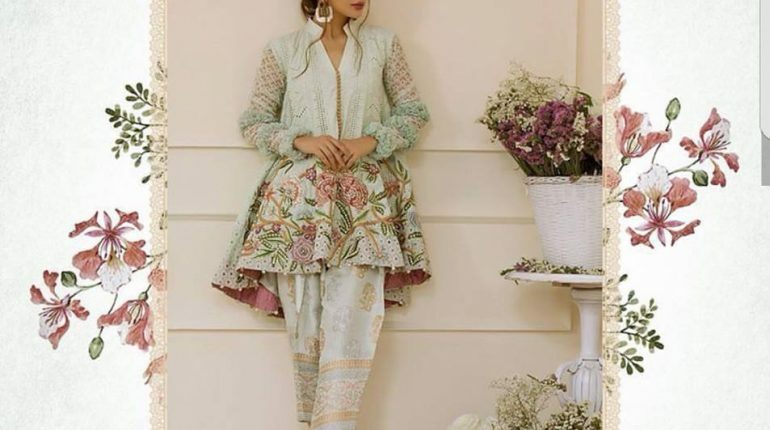 Right into this collection of Eid collection dresses 2018 by Annus Abrar, this clothing brand has been stepping up in offering with the classy and brilliant designed stylish wear dresses. Normally the dresses are best to worn in the the Eid parties and formal functions. Short and medium length of shirts have been categorized included with the cigarette pants or trousers. Some of the shirts are paired with the long straight trousers too that would make this collection quite classy. It do stand out to be best for the ladies of mostly young age groups. Embroidery work shading of work has been done over the front side, back side and on the sleeve areas of the shirts. Colors are shaded mostly in the combination of red and orange colors with light addition of brown mixture into it. Let’s check the album pictures of the pretty collection of Eid collection dresses 2018 by Annus Abrar!